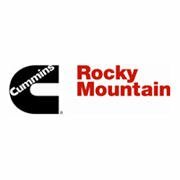 Cummins Rocky Mountain is the exclusive distributor of Cummins and Cummins Power Generation products for the Rocky Mountain and Southwest Area. Headquartered in Denver, CO with 19 locations throughout Arizona, Colorado, Idaho, Montana, Nevada, New Mexico, Texas, Utah and Wyoming. The focus remains to provide the BEST products, service and customer support EVERY TIME, EVERY DAY!